Before one year closes and another unfolds, we take stock of what’s been accomplished over the past 365 days. Earlier this month, we interviewed staff across five offices and three states about the elements of this past year they were most proud of. The following is the result of both heart and mind, early mornings and long nights, practiced skill and bold innovation. The following is what you get when you have a community of people supporting you in your pursuit of quantified outcomes for rivers. TFT looks forward to more wins and new projects in 2019 – projects that will further improve water quality and quantity. But our eyes are also wide open to the challenges we must overcome to do so, financially, politically and otherwise. In 2017, before embarking on a new year, we raised nearly $100,000 and below are some examples of our return on that investment. What you’ll read below is the result of those funds being put to work. If you know anything about us, it’s that we take return on investment seriously. 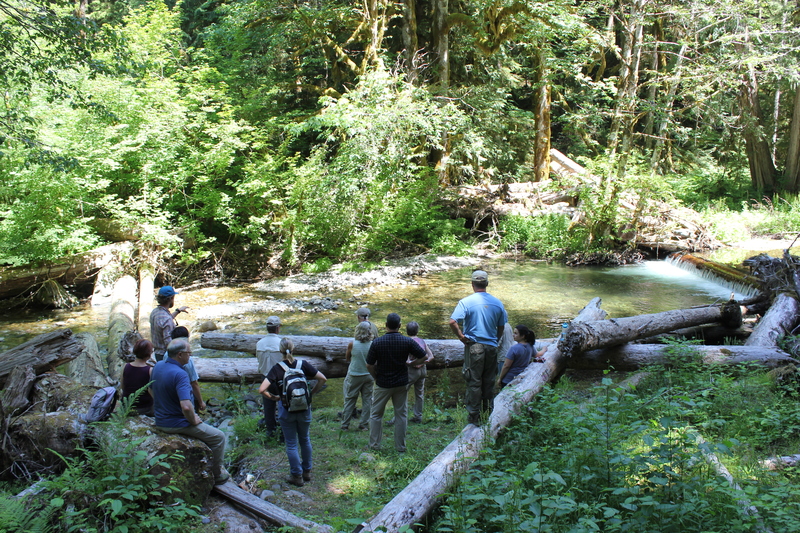 Protected 68,000 gallons per minute in 48 Oregon creeks through our 42 new flow deals with landowners. Our ability to sit at the table and compromise with key irrigators on the ground meant that during the hottest and driest parts of the year, native fish had plenty of water to survive. Learn about what it looks like to do a flow deal. Kept the Lostine River flowing. 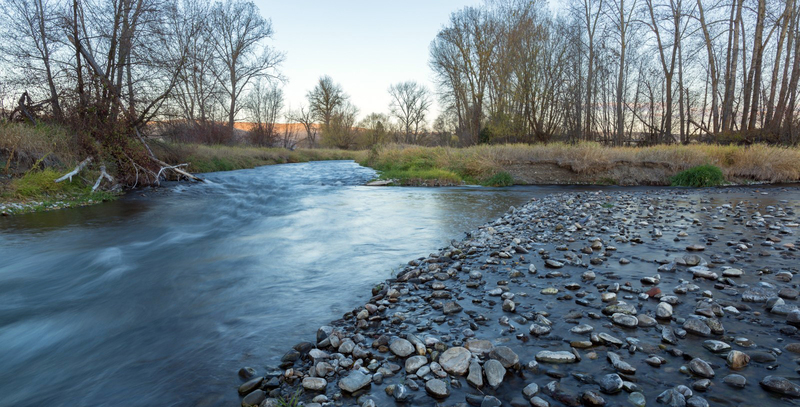 The Lostine River Conservation Project, a collaborative effort started with the Wolfe Family Farm, the Oregon Water Resources Department, The Columbia Basin Water Transactions Program and the Nez Perce Tribe, was responsible for keeping 25% to 50% of the total streamflow in the river this summer. The project involves upgrading irrigation across hundreds of acres and conserving water during certain periods of the year through leasing. 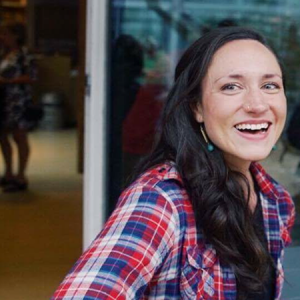 Hear about this project from our staff Jessica in Enterprise, Oregon. Flew drones over project sites in the Rogue, which will help us investigate the ways in which this technology can help monitor how our streamside plantings are growing and changing. Watch this drone video. Placed more than 1,400 pieces of large wood in the Rogue & Sandy River basins. 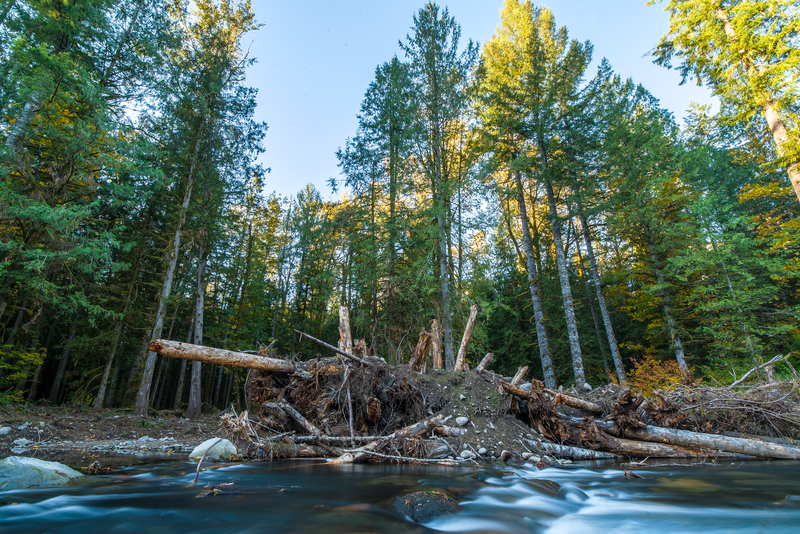 Hundreds of massive logs were placed in specific spots throughout two of the most critical river basins in Oregon. Together, these logs created towering structures that expand side channel habitat, slow water, and provide nooks and crannies for juvenile fish to take shelter. Get a 360 degree look into how we do it. 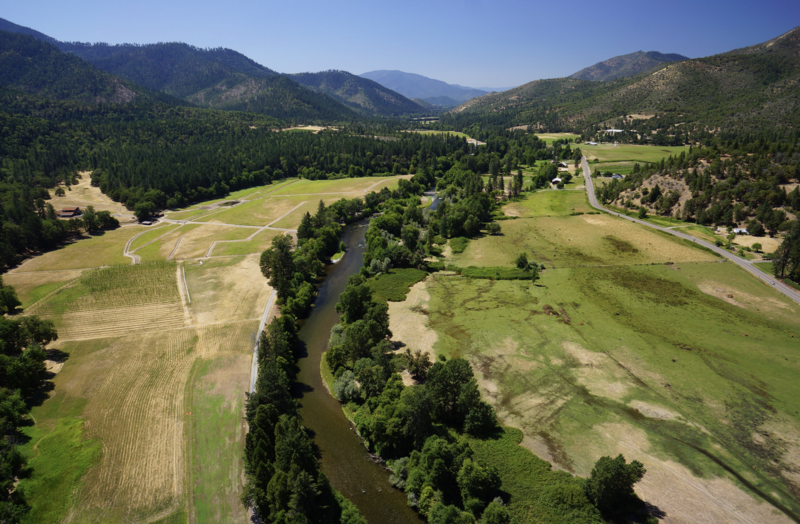 Enrolled 19 landowners in the FAST Program, an award-winning system that predicts and then alerts irrigators when stream temperatures are lethal to threatened steelhead. During 12 of the hottest days this summer, irrigators received a physical call through this program and opted not to irrigate, preventing fish kills and leaving more water in the system. Read more about the FAST program. Restored six side channels in the Sandy Basin. It’s like building an addition on a home. Reopening side channels means fish have more spawning and juvenile rearing habitat. They provide areas where they can stay safe year-round, including when the flows are high during winter. Finished fixing an entire creek top to bottom. Years ago, we created what might be considered a honey-do list for the Sandy. It was long, and for nearly a decade, we’ve been ticking off tasks that will improve water quality and native fish habitat. 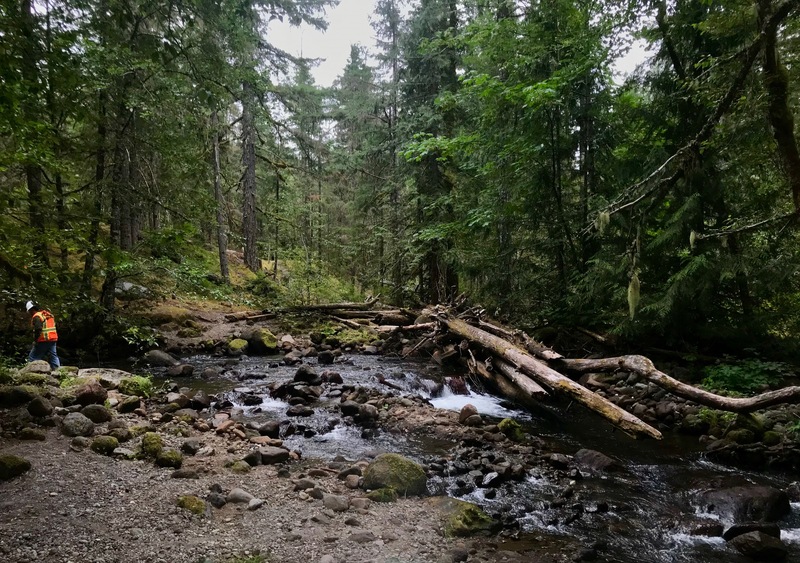 In 2018, we officially completed everything on the list for Still Creek, one of the highest priority streams in the area. Watch this video about how we did it & what it’s meant for fish counts. Installed 3,750 feet of fencing to keep livestock out of the Rogue. 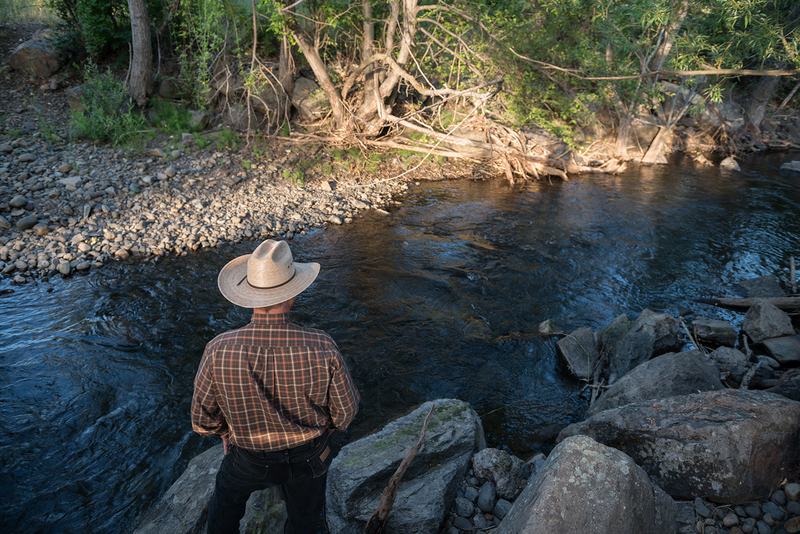 Hundreds of pounds of nutrients have been prevented from washing into waterways in the Rogue basin because we constructed fences to keep livestock, and their waste, away from streamsides. Developed models to better understand the connections between farm practices and water quality & quantity. We know land and water are inextricably linked. We’re discovering exactly how. 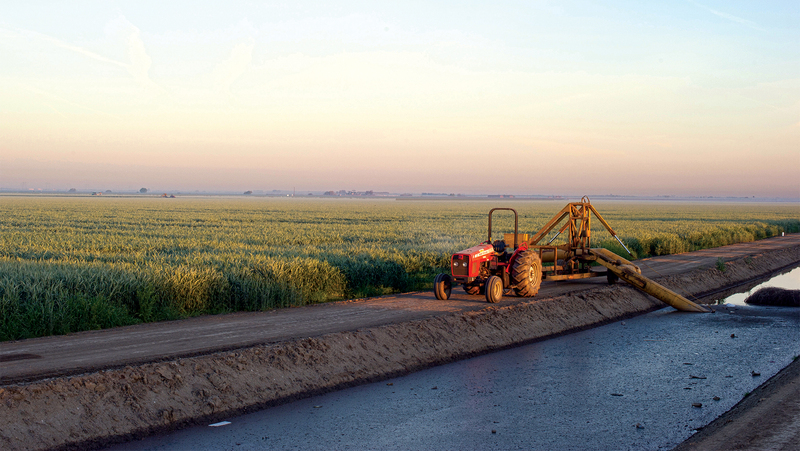 This year, in California, our surface water program analyzed 27,000 acres of irrigated farmland to help create an accurate picture of water usage. Our groundwater programs analyzed more than 70,000 acres. We dove into how farm practices and recycled wastewater could alter the amount of groundwater used and recharged, as well as the exact ways certain actions can reduce runoff and bolster natural habitat. And machine learning was employed to determine what conservation actions are feasible for achieving sustainability of local water resources. Helped Sacramento’s regional wastewater authority win a $280.5 million grant from California’s Proposition 1 to build and operate a large wastewater reuse piping project down to southern Sacramento County, where agricultural transition from groundwater pumping to reuse should dramatically improve year-round flows on the Cosumnes River. 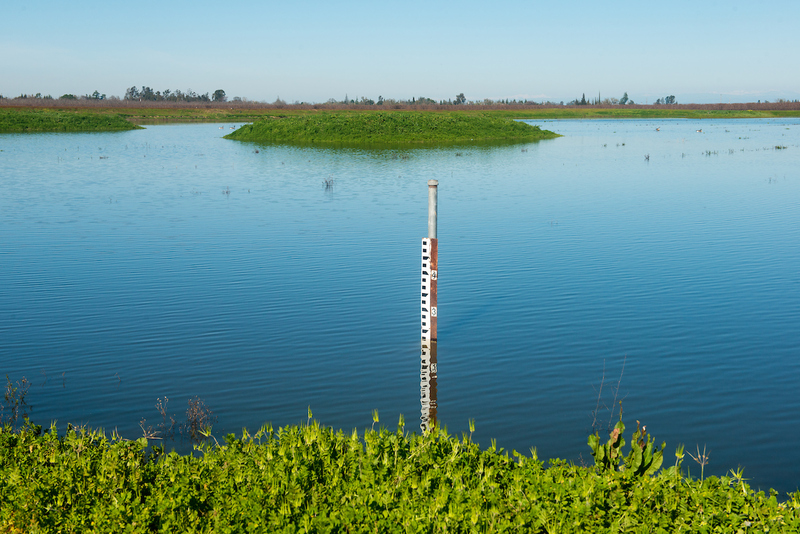 Just to the west in the Sacramento Delta, we developed a new measurement method for surface water usage reporting for our irrigation partners there, and also helped create and now manage a new groundwater sustainability agency in the North Delta. 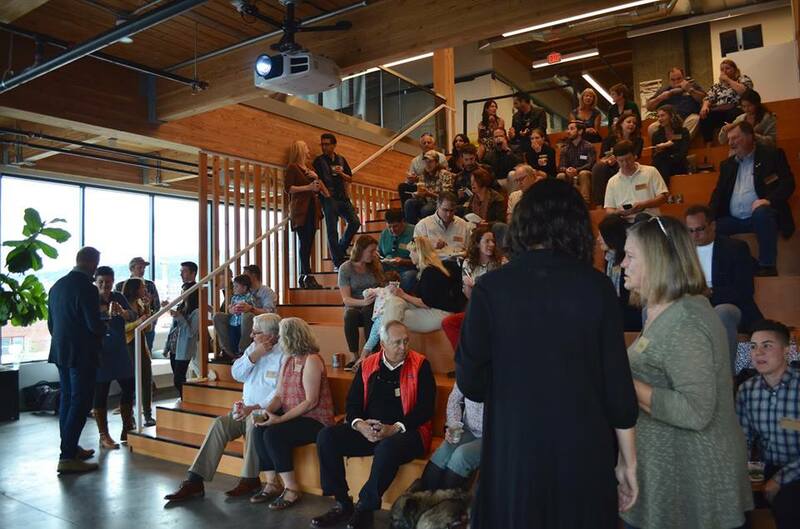 Recruited 200 individual donors, 5,000 followers, and dozens of new business supporters. The community supporting TFT widens by the day. Our work engaged new monthly donors. We heard from inspired businesses who committed to donating a portion of their proceeds to us and host events on our behalf. We recruited new leaders to our Headwaters Council, a board of emerging professionals helping to shape the future of conservation and restoration. Read about them here. Hosted 12 site visits, which brought 85 people face to face with the impacts of their support. We made it a priority to not only tell people about their donations being put to work but to show them how. Donning hard hats and safety vests, we spent the summer taking our supporters to the heart of the river restoration action. View photos from the trips. Removed 3,000 pounds of noxious weeds from Bayha Island. In 2016, we expanded an island in the Snake River to narrow and deepen the channels running alongside it and improve fish habitat. Then, we planted thousands of plants to create shade and prevent erosion, and in 2018, we removed more than one ton of noxious weeds to keep our plantings healthy and thriving. 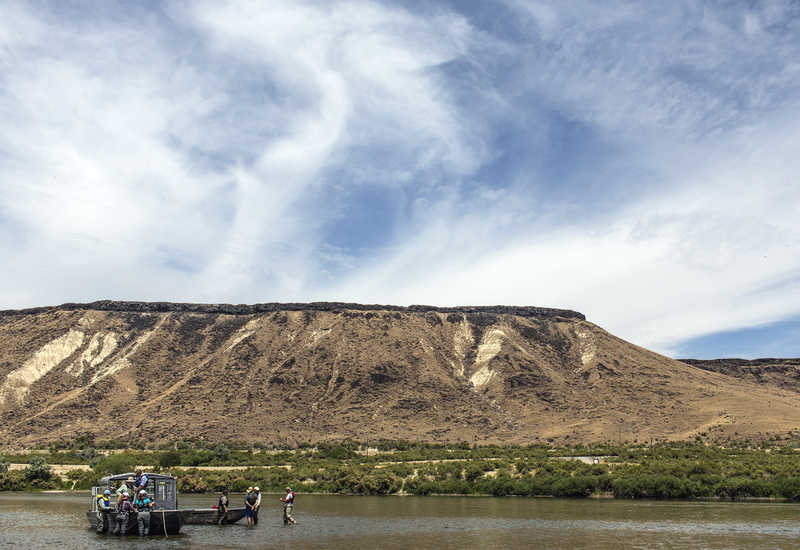 Learn about the Snake River Stewardship Program. Dedicated time to learning about diversity, equity and inclusion. With a grant from Meyer Memorial Trust, each of our staff members, and several of our board members, went through a two-day training on diversity, equity and inclusion. We were fortunate to have had the opportunity to take the first step in a long journey and look forward to ensuring that when we fix rivers, we do so with an awareness of and a commitment to these issues. Read The Freshwater Trust’s Core Values. Planted more than a mile of streamside along two new rivers in Idaho. 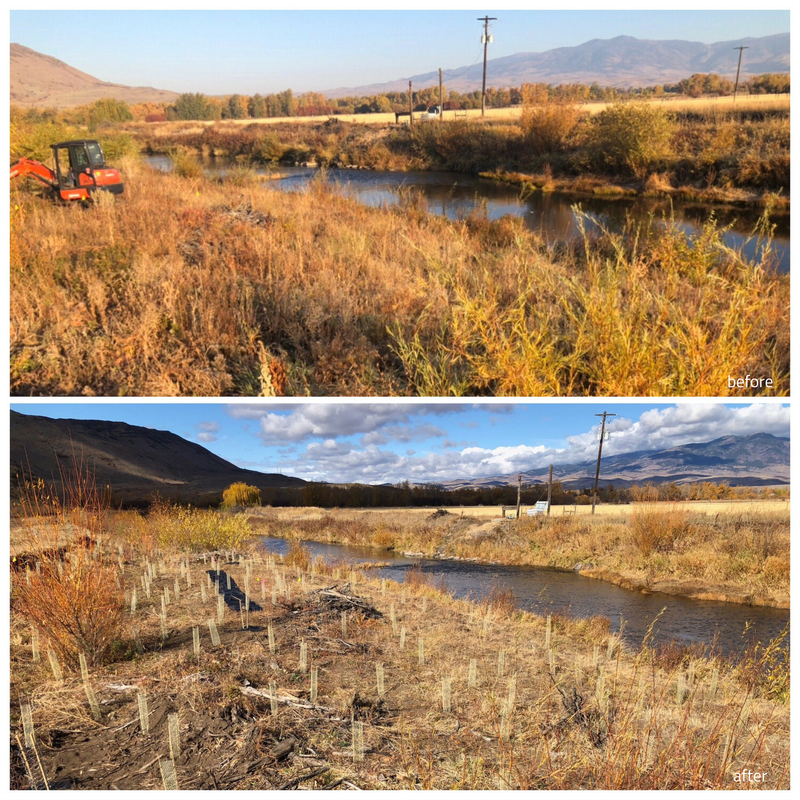 As part of work with Idaho Power Company’s Snake River Stewardship Program, we broke ground on two projects along the Weiser River and the Little Weiser River. Nearly 5,000 plants were put in the ground, creating shade, filtering nutrients, and preventing erosion. A total of 11 acres have been restored and protected to date. Learn about what else we’re doing in Idaho. Won nearly $4.5 million in grant dollars, nearly double what we are typically awarded in a year. One of the most noteworthy came from the U.S. Forest Service to improve the wild & scenic sections of the Rogue & Illinois Rivers. Another nearly half million dollars was awarded by the California Department of Water Resources to engage disadvantaged communities in plans to sustainably manage groundwater in California. Read more about that grant. Upgraded our models & analyses to be more efficient. If areas for improvement can be identified more efficiently, then action can be taken more efficiently. 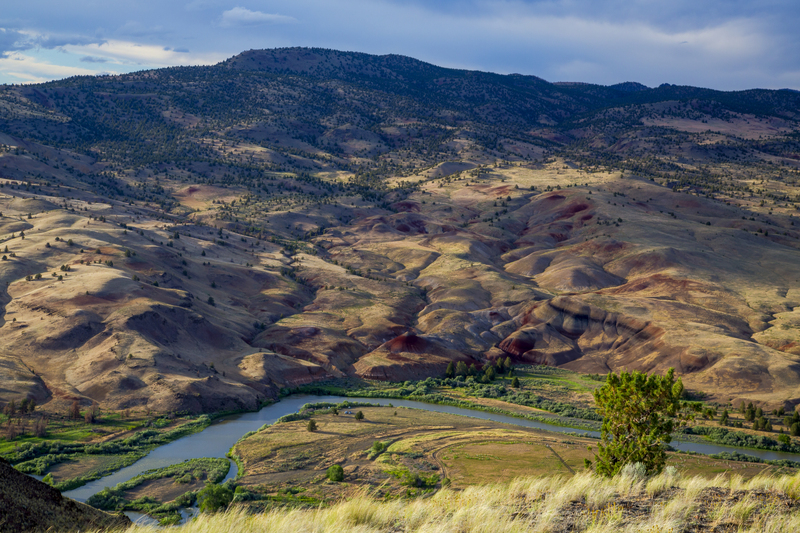 In 2018, our analysts automated our modeling to do more analysis of river basins in less time. 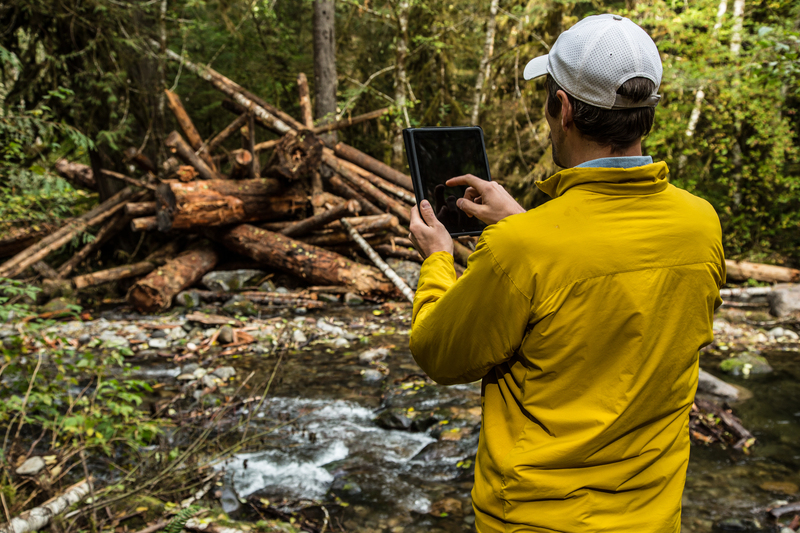 Today, we are identifying places and partners for restoration and conservation more easily. Added more information to our StreamBank database. More information means more informed decision making. This year, we added more than 8,000 new fields to our database, each with information on sediment, phosphorus and nutrient reductions. Adding this information into a centralized system allows us to more fully understand the outcomes of our programs. Whether you gave $25, $100 or $1,000 yourself or are involved with a foundation, business or government agency that supported us, we are grateful you make up the diverse, committed community that gave us the foundation to achieve in the ways above. We recognize there are smaller milestones reached, conversations had, connections made, storms weathered, and long roads traveled before we can be successful. Thank you for being with us through it all.